Incredible opportunity to purchase a large home in an outstanding location. 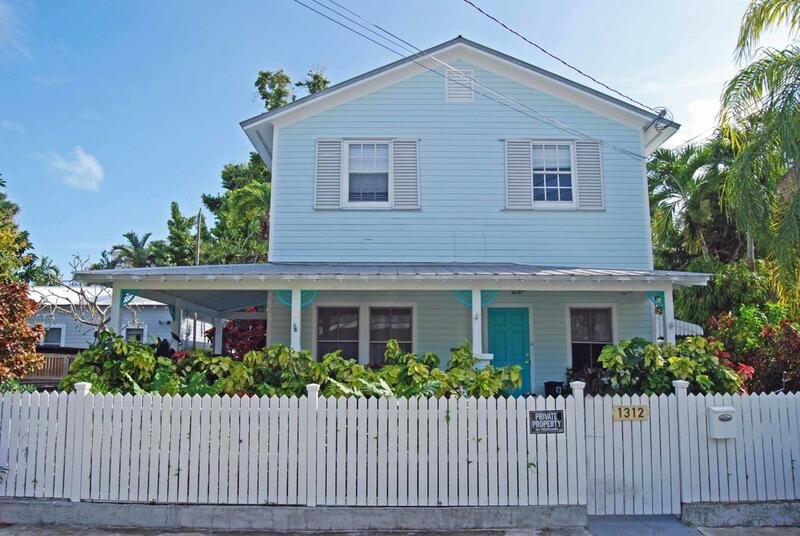 This 2 story five bedroom, two bath 2400 square foot home has many possibilities. The main level is currently configured with a large open living, dining and kitchen, three bedrooms, a bath and large laundry room. The second level is comprised of two bedrooms, a bath, large great room and a sun room and is currently being used as mother in-law quarters. There is access from the downstairs to the upstairs via an interior or an exterior staircase. There are tile floors throughout both floors. Additional features include a recently installed fully equipped kitchen with quartz countertops, recessed lighting and separate central a/c systems for the downstairs and upstairs. Located in the beautiful and quietMeadows neighborhood within short walking distance to restaurants, galleries and shopping. Also note this home is located in X-zone. Listing courtesy of Roger G Emmons of Truman & Co. (Kw).